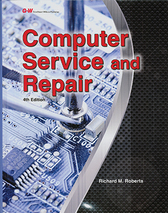 A full-credit course based on the textbook, Computer Service and Repair, (© 2015). 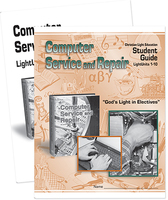 The course teaches fundamental knowledge in computer technology. Item: 606670 ISBN: 9781619607958 Pages: 987 Size: 8.75 x 11.25 Binding: Hardcover Publisher: Goodheart-Willcox Company, Inc. 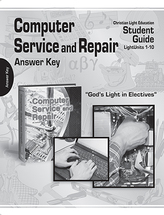 The study guide leads the student through this one-credit course, using the Computer Service and Repair, 4th Edition textbook. Ten LightUnit tests are provided.